A change to the Community (Scotland) Empowerment Bill agreed by the local government and regeneration committee last week encourages public bodies to promote and facilitate participation with people and communities in decision making and budget setting. The move follows huge participation in last year’s independence referendum. Ministers will also have powers to require public bodies to engage if they fail to do so. 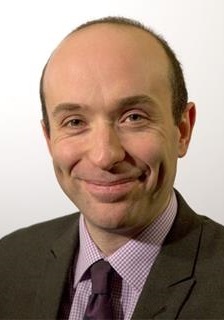 Speaking at the Community Development Alliance Scotland conference in Glasgow, community empowerment minister Marco Biagi (pictured) said: “Involving people and communities in decision-making unquestionably makes for better decisions. “18 Scottish councils have taken up the government’s offer of training and support for participatory budgeting projects, giving communities the chance to have their say on local budgets. Fiona Garven, chair of Community Development Alliance Scotland said: “CDAS welcomes the changes to the Community Empowerment (Scotland) Bill which will pave the way for communities to be involved in meaningful decisions about how public money is spent. “We are encouraged that the legislation will also require processes to be put in place to support communities and community organisations to engage with public bodies to raise awareness of local issues and to contribute to more effective shaping and delivery of local services.